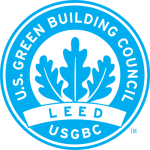 To get the LEED certification requirement on your project, Weinberger makes it easy. We track and monitor all of your waste commodities and weights off of your project and submit it to your key personnel weekly! Weinberger offers LEED and recycling services for any project. Paper, plastic, cardboard, metal, concrete, rock, drywall, wood, sawdust. We haul, you get the rebate! © 2019 Weinberger Waste Disposal All Rights Reserved.